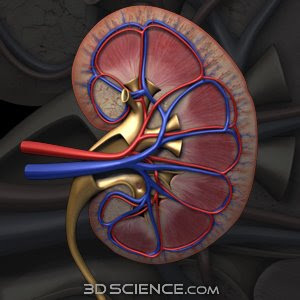 Question: How is renal plasma flow (RPF) measured? Answer: By measuring para-aminohippurate (PAH) clearance. How does it work? Ideally, one would simply choose a substance which is neither synthesized nor metabolized by the kidney; the amount of such a substance entering the kidney per unit time via the renal artery should equal the amount leaving via the renal vein. However, it is not trivial to obtain blood samples from the renal vein in humans and therefore another approach is needed. RPF (in cc/min) x [PAH] in plasma = [PAH] in urine x urine flow rate V (in cc/min). Rearranging, RPF = [PAH] in urine x urine flow rate V (in cc/min)/[PAH] in plasma. Although this test is rarely used in clinical practice, it is essential for research studies in which the hemodynamic effects of various drugs can be measured. For example, ACE-inhibitors are associated with a measurable increase in RPF. Are renin inhibitors the next big weapon in the fight against hypertension? As we all know, ACE-I's & ARB's have so many renoprotective effects that there is substantial evidence towards using these medications as first-line agents for blood pressure management in those with kidney disease, diabetes, or proteinuria. In addition to blockade of angiotensin converting enzyme (ACE) or the angiotensin receptor (ARB), a new class of direct renin inhibitors of which aliskiren is the current prototype are now being tested. While the evidence here is still accumulating, the available data suggests that it gives similar decreases in BP when compared to ACE or ARB, and the results of the recent AVOID trial demonstrate that in patients already treated with ARB, addition of aliskiren compared to placebo led to significant reductions in the degree of proteinuria. It makes sense that inhibition of renin (the protein structure of which is illustrated above) would be an effective pharmacologic target of the renin-angiotensin system given that this, not angiotensin converting enzyme-catalyzing of angiotensin I to angiotensin II, is the rate-limiting step in the pathway. There are a variety of interesting genetic diseases that can cause hereditary Magnesium wasting. Renal magnesium handling is a little different than other ions in that the primary site of reabsorption is not the proximal convoluted tubule. Rather, the majority of Mg reabsorption occurs in the thick ascending limb (TAL). The key protein is termed paracellin, or claudin-16, which forms channels in the paracellular barrier which allows passage of the divalent cations Ca2+ and Mg2+. Thus, mutations in paracellin can result in both urinary Ca and urinary Mg wasting. Ca2+ & Mg2+ reabsorption via the paracellular route is also linked to Na reabsorption. Recall that the Na/K/2Cl loop-sensitive Na channel is responsible for Na reabsorption in the TAL; although this is an electroneutral transporter, the backleak of K via ROMK channels creates a positive lumenal potential that drives Ca2+ and Mg2+ paracellular transport. This is why addition of a loop diuretic can lead to Ca2+ and Mg2+ wasting in the urine. Some Mg reabsorption also takes place in the distal convoluted tubule (DCT) via a transcellular transport mechanism in which Mg is taken up via an apical Mg channel called TRPM6. It has recently been determined that epidermal growth factor receptor (EGFR) signaling is required for proper trafficking of TRPM6. Mutations in TRPM6 (causing the genetic disorder "hypomagnesemia with secondary hypocalcemia") as well as mutations in EGF can both therefore lead to urinary magnesium wasting. 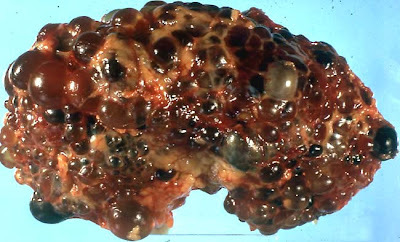 Gitelman's Syndrome (caused by mutations in the thiazide-sensitive Na channel in the distal convoluted tubule) also results in chronic renal Mg wasting. Finally, an autosomal dominant-inherited dominant negative mutation in the Na-K ATPase also mysteriously results in isolated Mg wasting. 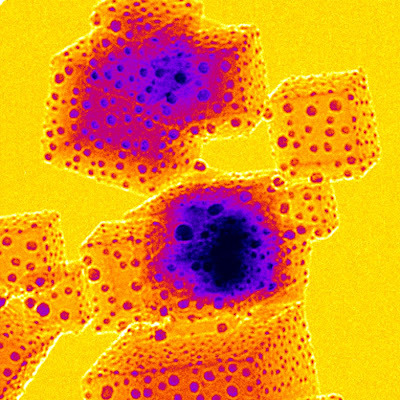 By the way, the image above (entitled "Magnesium Dice") is from an electron micrograph of some magnesium oxide crystals. For many years, the existence of "phosphatonins"--substances secreted by certain tumors which result in profound renal phosphorus wasting and resultant osteomalacia--has been postulated. High circulating levels of FGF23 are associated with hypophosphatemia, decreased 1,25 (OH) vitamin D levels, and rickets/bone disease. The disease autosomal dominant hypophosphatemic rickets is caused by gain-of-function mutations in FGF23caused by splice site mutations. Conversely, the genetic disease inherited tumoral calcinosis, characterized by hyperphosphatemia, increased 1,25 (OH) vitamin D levels, and metastatic calcifications. In ESRD, FGF23 levels are appropriately elevated in response to hyperphosphatemia, but due to a reduced GFR is unable to induce adequate phosphaturia. 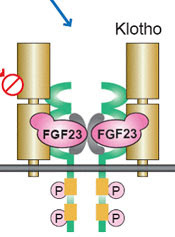 How it works at a molecular level: FGF23 interacts with FGF receptors at the proximal tubule, resulting in decreased Na-PO4 exchange, as well as decreasing 1,25-alpha hydroxylase activity. I was consulted yesterday on a patient with liver and renal failure--obviously, not an uncommon occurrence, as the two often go hand in hand. The patient had presented with altered mental status, and the question came up: hepatic encephalopathy or uremic encephalopathy? His serum NH3 level was >250 and his BUN was about 140. Either are certainly possible. #1: You shouldn't give acetazolamide (Diamox) to patients with hepatic encephalopathy. 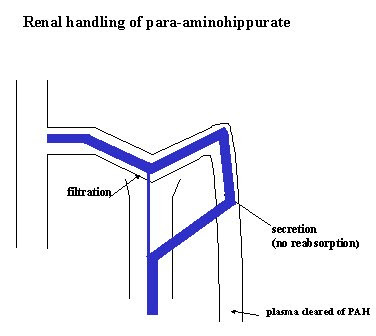 Renal ammonia excretion requires protonation of NH3 in the proximal tubule, an event which absolutely requires bicarbonate resorption. #2: Hypokalemia is another precipitant of worsening hepatic encephalopathy. 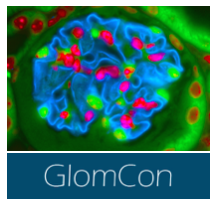 Once again, the important site is the proximal convoluted tubule. In hypokalemia, K will move out of the proximal tubular cells into the extracellular fluid; to maintain electroneutrality H+ will move into the proximal tubular cells. 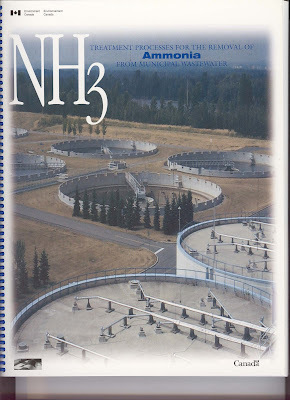 The increased intracellular pH will stimulate the tubular production of ammonia from the amino acid glutamine. A quick fact about foscarnet, one of the many drugs which can cause drug-induced hypocalcemia. Foscarnet is an antiviral medication, commonly used in the treatment of herpesviruses and CMV infections (e.g., CMV retinitis). The mechanism of its hypocalcemic action is somewhat unique in that the molecule binds to ionized Ca itself, there by resulting in rapid depletion of calcium levels. For this reason, Ca levels should be checked following foscarnet infusion. Autosomal dominant polycystic kidney disease (ADPKD) acconts for about 10% of patients on dialysis in the U.S. and occurs in 1:400 - 1:2000 live births. As the disease is inherited in an autosomal dominant fashion, the question of genetic counseling often comes up (e.g., does my brother/sister/son/daughter also have ADPKD?) This is also a very relevant question in deciding whether or not a relative of a patient with ADPKD is an appropriate kidney donor: obviously, you wouldn't want to take PKD kidney as a transplant, which would have poor results for both the recipient as well as the donor. Unfortunately, mutation screening is not useful in ADPKD since the PKD1 gene (accounting for about 85% of cases of ADPKD) is extremely large with multiple internal repeats, making it difficult to sequence, and furthermore the list of possible ADPKD mutations numbers in the 100s rather than being just a few common mutations. age <30:>60: need at least 4 cysts per kidney. -need 4 or more cysts per kidney (ages 30-59) to reach a sensitivity of 96%. According to recommendations on Up To Date, patients less than 18 years of age should NOT be screened for ADPKD. Ravine, D, Gibson, RN, Walker, RG, et al. Evaluation of ultrasonographic diagnostic criteria for autosomal dominant polycystic kidney disease 1. Lancet 1994; 343:824. Nicolau, C, Torra, R, Badenas, C, et al. Autosomal dominant polycystic kidney disease types 1 and 2: Assessment of US sensitivity for diagnosis. Radiology 1999; 213:273. 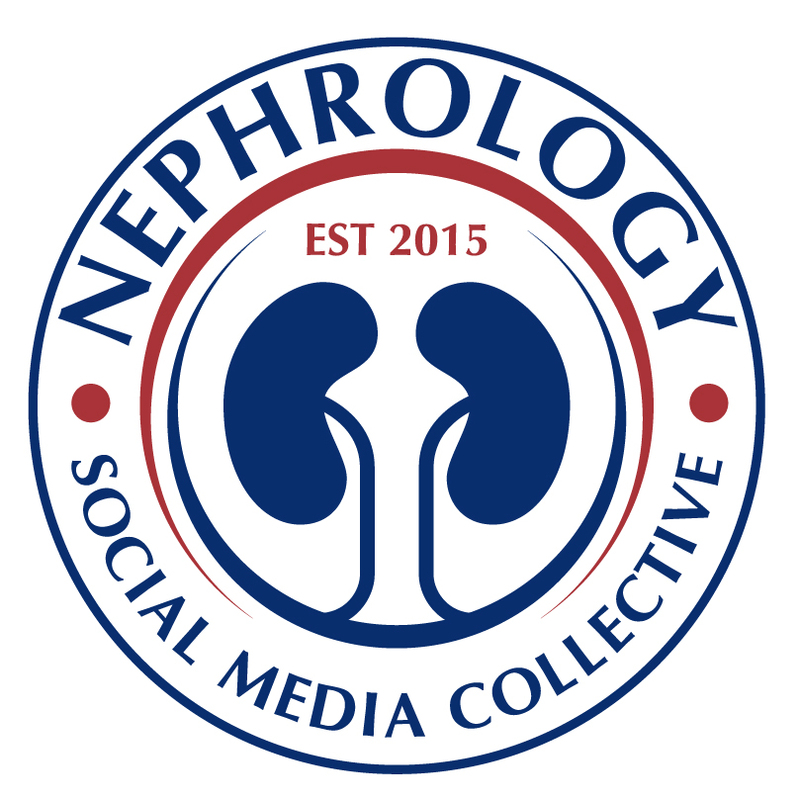 Welcome to the Renal Fellow Network. My name is Nathan Hellman and I am presently a Nephrology Fellow at the Massachusetts General/Brigham & Women's Hospital Combined Fellowship Program. I am in the midst of my first (clinical) year, and with about 4 months left to ago I am realizing that although I am becoming an expert at throwing in a femoral dialysis catheter and starting CVVH at a moment's notice, there is still a very wide body of nephrology knowledge for which I've barely scratched the tip of the iceburg. 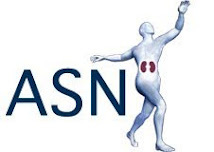 This blog--and we'll see where it evolves from here--is intended to provide a forum to discuss interesting Nephrology cases, scientific papers, and other topics germane to nephrologists. To begin with, I plan to post one entry per day myself about something that I have learned recently with the goal that it is something that would be useful to a 1st-year Nephrology fellow like myself.